Pack A Punch pedestals are objects you can interact with in Call of Duty Black Ops 4. 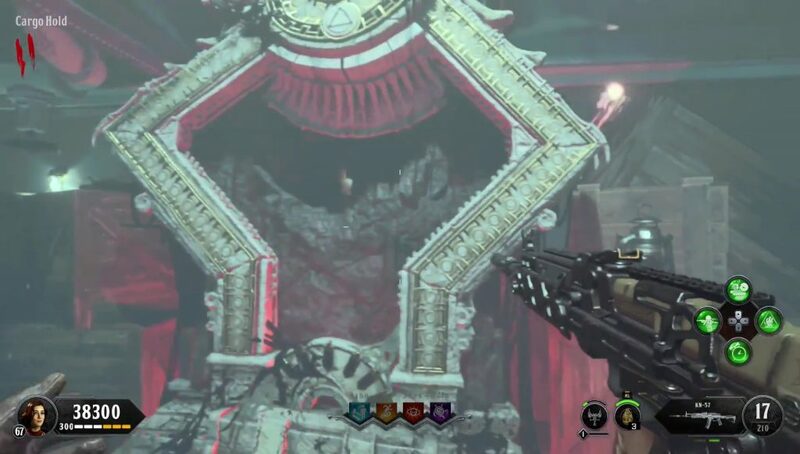 They’re present in zombie maps, like Voyage of Despair. Once you activate them all, they’ll open up a portal that allows you to upgrade your weapons. In order to activate them, you’ll first have to break the red seals protecting them. If you’re having trouble finding them, our COD Black Ops 4 Pack A Punch pedestal locations guide will help you. Where to find Pack-A-Punch pedestals? Before you can start using the pedestals, you’ll need to find and activate the Sentinel Artifact. Once you’ve done that, it will release four red orbs. Each of those will break one of the seals on the Pack-A-Punch pedestals. Now you just have to follow our video and use all the pedestals. Once the portal is open, you’ll be able to spend points to upgrade your weapons. The first tier will improve your damage, and you’ll have to spend five thousand points on it. The second tier won’t increase your damage output, but it will add another perk to your gun – explosive rounds, cryo bullets or some such. It costs only two and a half thousand points, so at least it’s not too expensive. You can upgrade all your weapon while you’re there, which would probably be smart. The average player could easily get to around wave 10 without upgrading, but getting past the 12th level without fancy guns will be a problem for most. So save up your points, get that Sentinel Artifact, find all four Pack-A-Punch pedestals and beef up your weapons. That way, you’ll stand a fighting chance when push comes to shove and those darn zombie folk become more resilient and more persistent.